The WCRC’s Health and Wellness Steering Committee held a stakeholders meeting with community partners such as The Greater Bulls, Eagles Wheelchair Rugby, Khayelitsha – and Mitchell’s plain Disability Forums, CT APD, WC Cerebral Palsy, Included, Dept of Social Dialogue and Human Rights, Rachel Swart Fund, Urban Renewal Project, UWC Community Project, Athlone School for the Blind, Motivation Africa, WUFSA, Liberty Promenade, Disability in SAP, Maties Wheelchair Rugby, Quad-Para Association and members of the Sub-Council 12, Mitchell’s Plain. The feasibility and implementation of programmes for the gymnasium and hydro pool were discussed and agreed upon. Photo: Community partners and committee members with Lucia Hess-April (Chair of the Health and Wellness Steering Committee), Jenny Hendry (HOI) and Councillor M Fienies. 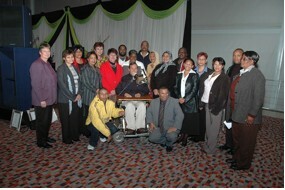 20 YEAR LONG SERVICE AWARDS: WCRC recipients with JP Lugt (Chair: WCRC Facility Board) and Jenny Hendry (HOI) at the DOH function at the CTICC on 21 July 2008. 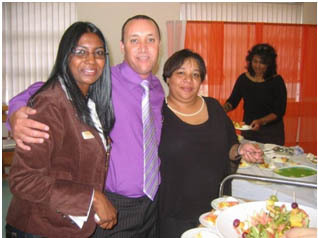 The Red Door Advice Centre in Mitchell's Plain, an initiative of the Enterprise Development sub-directorate within the Department of Economic Development and Tourism, in collaboration with WCRC, hosted an exhibition and information session about enterprise development on 9 May 2008. 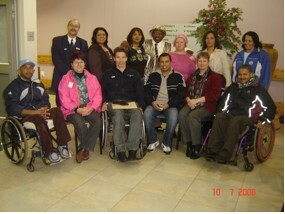 This event was attended by 55 people living with disabilities. 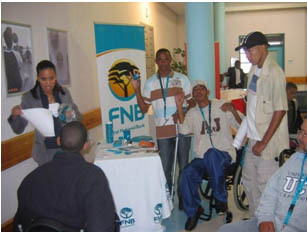 Nedbank, Standard Bank, FNB, Janine Jones, Ricardo Mayman and Dean Johnson were some of the exhibitors at the event. FNB exhibitors answering questions from WCRC clients. 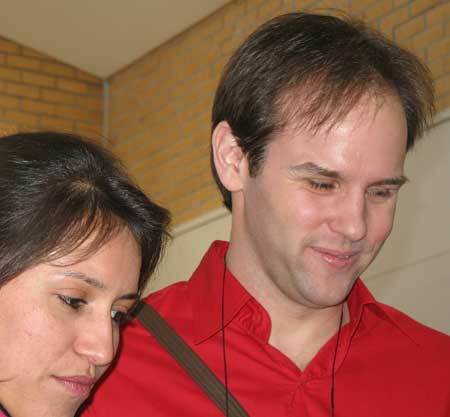 Virgin Life's Travis Noakes at the Launch of the Health and Well-being Centre, 28th June 2006. 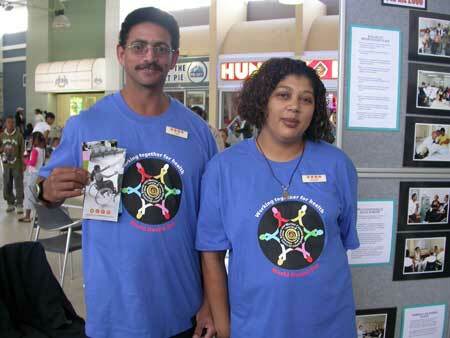 WCRC's World Health Day exhibition at the Promenade Shopping Centre, on 7 April 2006.